ENG: Hi friends! How are you? We had snow 2 days and then unfortunately it melted. There’s so overcast and gray here. I’ve wanted to add some colors and created these rainbow sets. There are all colors: red, orange, yellow, green, blue, navy and purple. You can find lots of clothes, bags, shoes, jewelry and accessories. Make your days brighter! RU: Привет, друзья! Как ваши дела? Снег растаял, так, не успев меня порадовать. Сейчас за окном пасмурно и серо. Чтобы немного раскрасить такие вот дни, предлагаю вам немного радужных сетов! Красный, оранжевый, желтый, зеленый, голубой, синий и фиолетовый не дадут вам заскучать! TR: Merhaba arkadaşlar! Nasılsınız? İki günlük kar tatili malesef sona erdi. Bütün karlar eridi. Dışarıda bulutlu ve kasvetli bir hava var. Tüm bu kötü havayı unutturup, farklı birşey yapmak istedim ve gökkuşağının reklerini anımsatan bir kolaj hazırlamak istedim. İçinde her rengi barındıran bu kolajda sizde kendinize eşyayı seçebilirsiniz. Sizde kendi renginizi oluşturun! 55. ASOSAfrica Coat with Detachable Gilet. 56. Marc byMarc Jacobs Amy. 57. KeyItems Small Candy Turnlock Bracelet. 58. ASOSWashed Canvas Backpack. 59. ACCENTStud Cut Out Boots. 60. ASOS Mixed Square Jumper. 61. Snake Trim Boxy Bag. 62. BlackwatchCigarette Trousers. 63. GlassHouse Eye Palette. 64. ASOSBLACK By Markus Lupfer Leather Bodycon Dress In Print. wow love THIS POST SO MUCH! 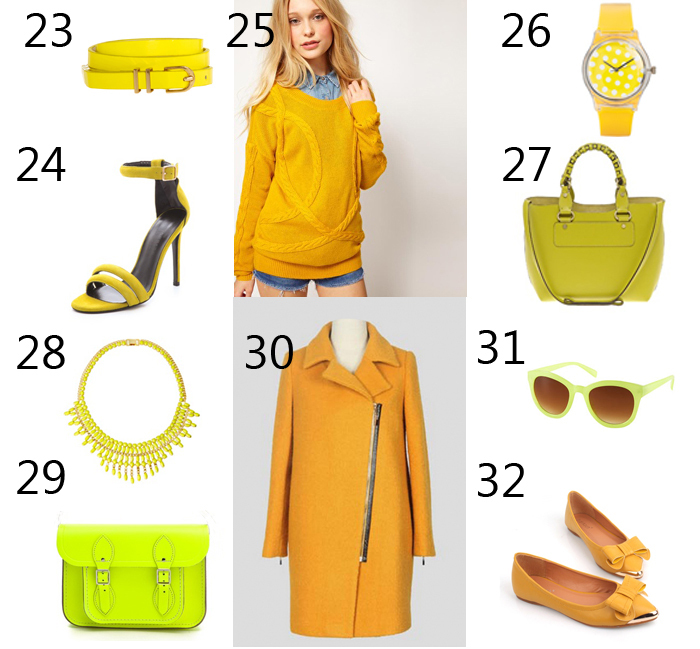 bright colors is what we need in winter! Удивительная, красочная и великолепно подобранная одежда и к ней аксессуары!!! Подумаю, что себе из этого чуда приобрести!Спасибо!Целую! Love this post so much! 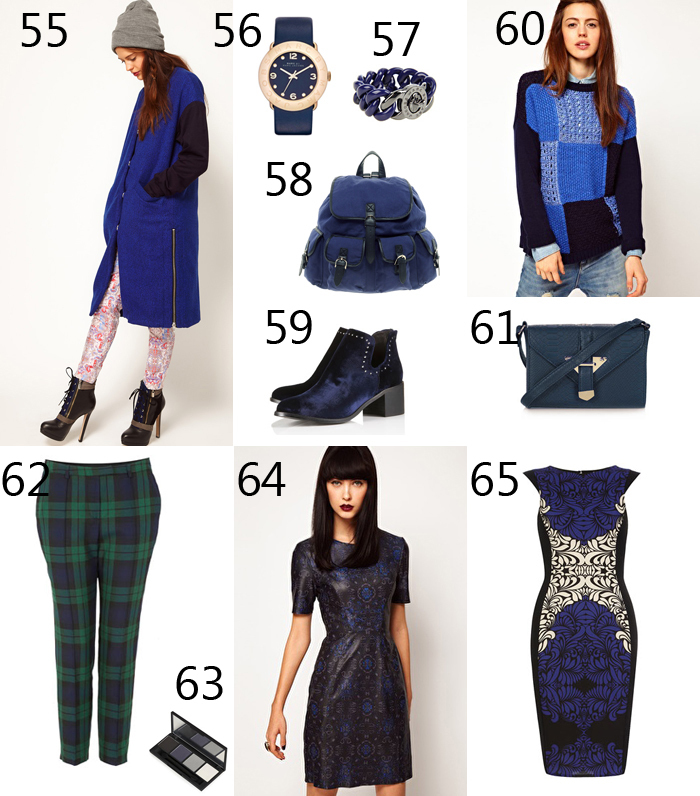 So many items in this post are so cute and lovely, thanks for sharing!! I also love colors for this grey winter season, they helps the mood and give some fun to outfits. So many loves in this post!If I had to name them all, it would be an entire post long! I loved all the bags you've chosen, the necklaces and the chic coloured blazers. giving some colour to the moody weather! wow...this post makes me so happy lol...i Love all the colors... great post love. Oh i love that magenta oversized cardigan, it would be perfet in my wardrobe. and it offers a scarf! Omg love all of these, you have great taste ! 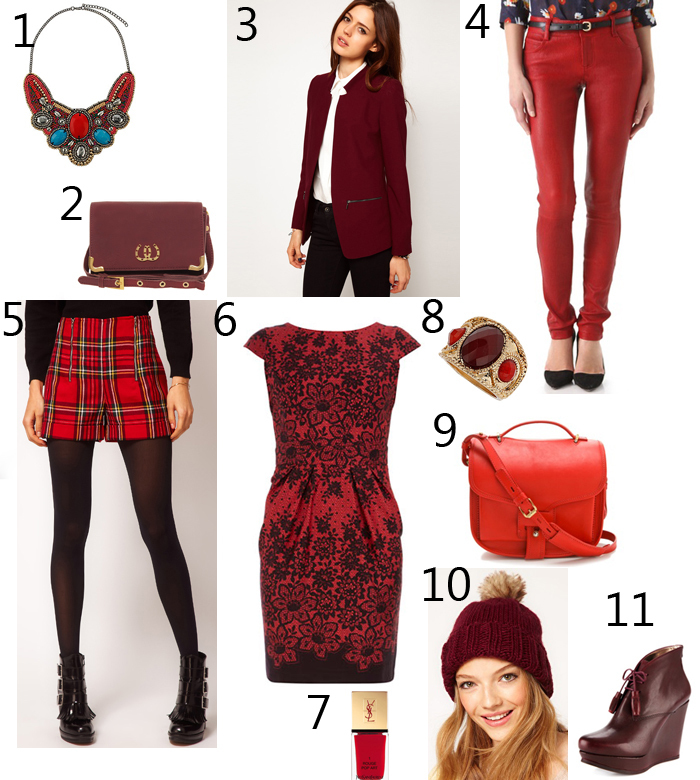 Wooow this post is so cool, all of the items are great and the colors so juicy, love it! These pieces are gorgeous. Very stylish dresses. The blue set is perfect. Everything is amazing. I love this much colour. Виктория, спасибо за красивые сеты!!! I also love kind of small and peaceful towns! I hope you'll enjoy to live there! love the dress with prints. they are gorgeous. Orange blazer!? YES, please! I am trying to add more color to my closet this year, and this is just the inspiration I needed! love the red and the blue selections a lot! My favourite colour to wear is red. I don't know why, I just think it suits me most! I love the colour coordination here! Amazing post! I just love colours!!! Such a fun post! I'm liking all of these pieces...but that navy printed dress is my fav! Love the red and green items !!! Long time no see, I hope all is well. Love that phillip lim green satchel bag. Thank you for your visit, have great week ahead! I LOVE wearing color. I love all of these sets! Love this post! Have a fabulous week! great idea! i love the red dress! Буду делать! Спасибо за яркий пост! Amazing post! Great choices ^^ Good work!! Your choices here are so stylish and refined!!! !